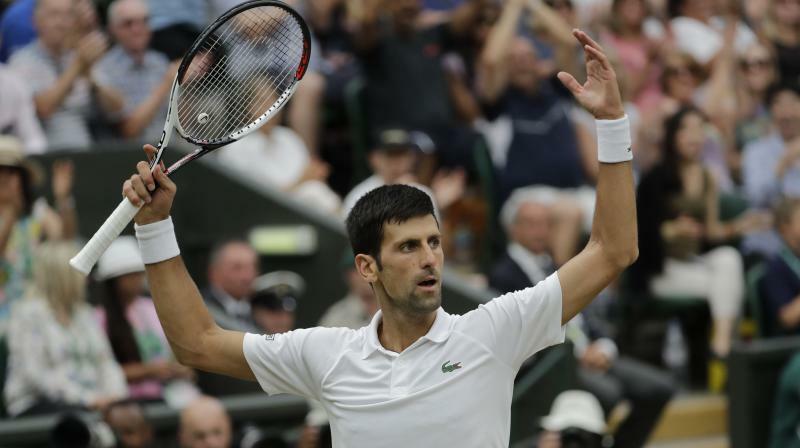 London: Novak Djokovic reached his fifth Wimbledon final on Saturday with a 6-4, 3-6, 7-6 (11/9), 3-6, 10-8 victory over Rafael Nadal in the second longest semi-final ever played at the tournament. "It's hard to pick the words. I'm just going through things, flashbacks to the last 15 months, everything I've been through to get here," said world number 21 Djokovic, the lowest ranked finalist in 15 years. "To win against the best player in the world, in one of the longest matches I ever played, I'm just overwhelmed. "It's very special. It really could have gone either way. It was clear very few things separated us." "Until the last shot I didn't know if I would win. These are matches you live for and work for," he added. "Hopefully we can first of all play!" an exhausted Djokovic said of his fellow marathon man. "He had a day off which means a lot. I wish I could have one, but it is what it is," Djokovic said. "I'm in the final of Wimbledon. That's an incredible achievement."